The history of the United Kingdom—known by many as Britain—is very complex. Before becoming one of the world’s most powerful nations, Britain endured centuries of turmoil and conflict between state, church, and foreign armies. Roman, Viking, and Danish invaders are just a sample of those that conquered the lands of Britain during these unsettling times. However, it’s this same period of conflict that would mold Britain into the largest empire the world has ever seen. of Ireland by the famous Saint Patrick in 432 AD, there’s more to see in Ireland than just pubs and shamrocks. You’ll want to put some extra time aside during your travels to visit this beautiful country in its entirety! The UK & Ireland are popular student travel destinations because of their exciting history and must-see attractions. If you’re looking for the perfect destination for teaching your students more about English history & culture, there’s no better place to visit! 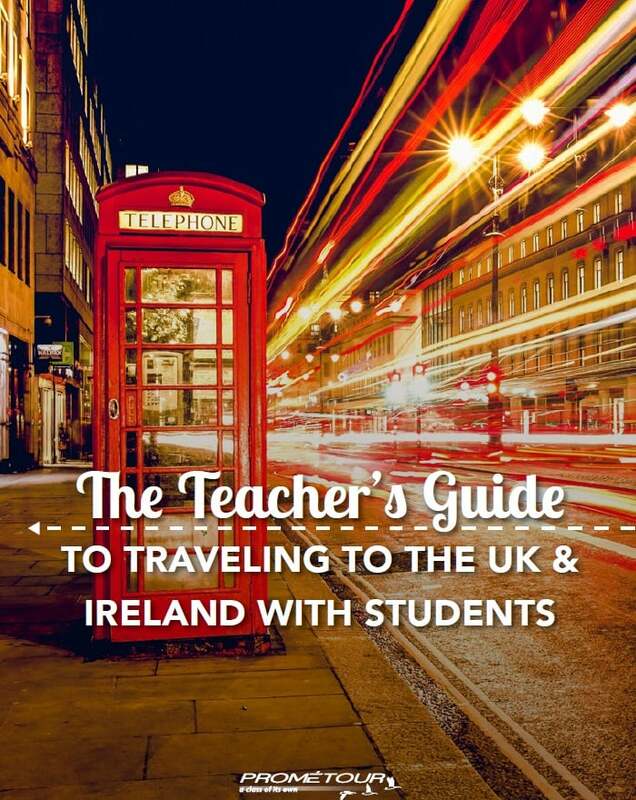 See what the UK and Ireland have to offer.